He’s trying to record a song on his guitar, when the kitty hears the melodious music! When you see his reaction, you can’t help but crack up at how cute this is! 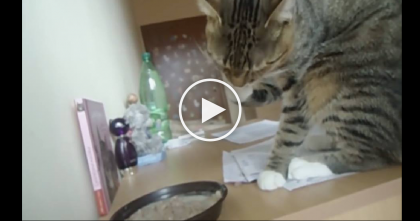 The cat just can’t help himself – he has to know where the beautiful sounds are coming from. LOL, the kitten tries reaching inside the guitar to see what’s happening…he also tries to play with the strings. This kitty is just so curious! It’s adorable to watch. This kitty just LOVES the music—SHARE this adorable video with your friends online! 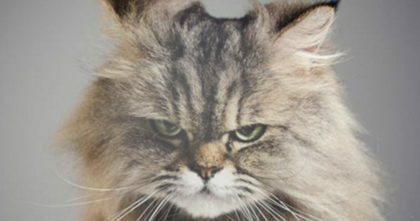 Watch cats reactions in this hilarious litter box ad when they discover it… Now I can’t stop laughing! 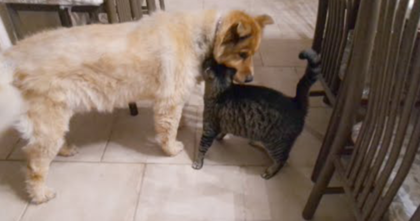 Cat reunited with blind dog, then has emotional reaction when he sees him. It brought tears to my eyes. 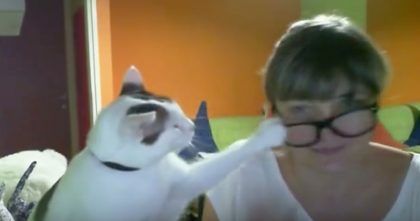 Cat Tries To Give Human Love, But When You See What Kitty Does Next… This Is The CUTEST Ever! !